It’s great to agree on something! Unfortunately there is a lot of misinformation in this article. Several mortgage insurance providers do underwrite at the time the policy is applied for and many are transferable to another property and the coverage continues. I would suggest that you do more research instead of making blanket statements. 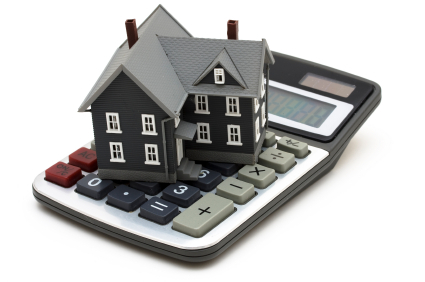 The purpose of mortgage insurance IS to pay out the mortgage. You should always have other insurance to cover you outside of mortgage insurance. You don’t believe that a regular term insurance policy of a suitable amount wouldn’t be enough to protect yourself? It should be more than enough; as well, you wouldn’t need as much if you could be more flexible in it’s use. Paying off a mortgage entirely may really not be all that necessary. Sure, your mortgage is paid off and you could save tonnes of money in cashflow per month, but you are left with an asset that you can’t liquidate easily (your home) and no extra cash. If you looked at the total amount of insurance you would need to be comfortable through term insurance + mortgage insurance, and compared what it would look like with just term insurance, you would definitely be ahead with only term insurance. I’m sure there are better products on the market, and being a mortgage broker you probably know about them. But unfortunately, an average consumer doesn’t. An average consumer goes to a big bank for a mortgage, and gets offered mortgage life insurance that is way too expensive and comes with serious shortfalls. If they’re using a good broker that can educate them about it – hey, that’s great. But what if they don’t? At least they’ll know which questions to ask. I am unable to get term life insurance for my hubby due to pre-existing health issues. I was able to attain some very expensive whole life/burial type, very low payoff. This looks like a round-about way to get insurance under his name, on the chance he passes early on during the mortgage. We have plenty of insurance on me; he would be fine financially combining private term & whole life on me combined with what my employer offers. So, we have been short on insurance for my hubby. Does this seem feasible? Products we get in the mail always say “just answer these 3 short questions”, but those very questions are the ones that kick us out. There are zero products out there, available to the general public, that will accept my husband’s pre-existing health history. To be honest, even mortgage life insurance would probably wouldn’t work for you as they have a awful track record of not covering pre-existing problems. Not sure if this is a solution. There are other considerations here as well. One of the largest is the value of the insurance at claim time. In the above example of a $400,000 mortgage. On day one, you pay $105 for the policy. If you or your spouse die on that day, the policy would pay our $400,000 – not too bad. But, over time, the payout gets smaller and smaller. What happens if your spouse dies the day before the last payment? Then, the policy will pay out about $1500. 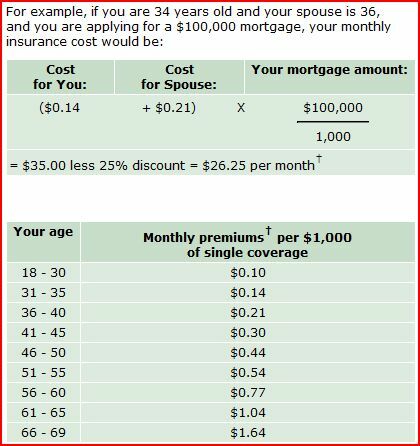 You still paid $105 for protection that month, but, since there is only $1500 owing on the mortgage, that is all that will get paid. Term insurance on the other hand, pays out the full face value, no matter what is owed on the mortgage. So, in this example, should your spouse die the day before the last payment, at least you will get to pocket the other $398,500.